Robbins Farm in Arlington, MA, just down from the water tower. Unlike Prospect Hill Park, it only takes me ten minutes from when I climb in to my car until I am setup to take pictures at Robbins Farm. This makes Robbins Farm more convenient, except that it is further north than Prospect Hill Park. 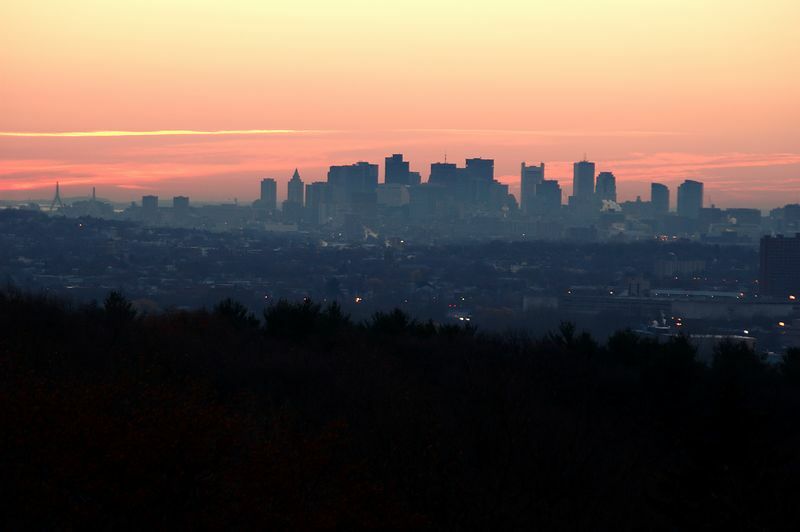 From Arlington, the sun rises behind Boston only in December. On November 27th, with no clouds in the sky, I drove over to Robbins Hill Park and set up for the sunrise. I took this picture a few minutes before the sun came up.